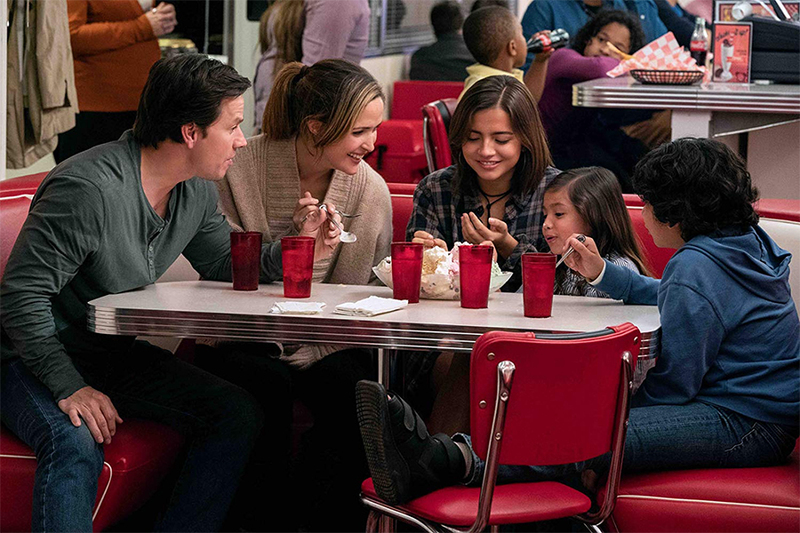 Paramount’s Instant Family fostered a win on both Redbox charts the week ended March 10. The family comedy, starring Mark Wahlberg and Rose Byrne, took the No. 1 spot on both the Redbox kiosk chart, which tracks DVD and Blu-ray Disc rentals at the company’s more than 40,000 red vending machines, and the Redbox On Demand chart, which tracks transactional video-on-demand (TVOD), both electronic sellthrough (EST) and streaming. It was new-to-disc for the week, streeting March 5. Warner’s boxing drama Creed II, also released on disc March 5, took the No. 2 spot on both charts. Oscar-lauded films made several appearances on the Redbox charts. Disney’s sequel Ralph Breaks the Internet, which was nominated for a Best Animated Feature Oscar, remained at No. 3 on the disc chart, the same spot it held the previous week. The music drama A Star Is Born — which garnered an Academy Award for Best Original Song and picked up eight nominations, including nods for Bradley Cooper and Lady Gaga — dropped from No. 1 to No. 4 on the disc chart, and from No. 1 to No. 3 on the digital side. Bohemian Rhapsody slipped from No. 2 to No. 5 on the disc chart, and from No. 2 to No. 4 on the digital chart. The film, about the life of Queen lead singer Freddie Mercury, won Academy Awards for Best Actor for Rami Malek, Best Film Editing, Best Sound Editing and Best Sound Mixing. Three other new disc releases entered the top 10. In the eighth spot was Lionsgate’s Ben Is Back, starring Julia Roberts as a desperate mother with a troubled son. At No. 9 was Fox’s The Favourite, which earned a surprise Best Actress Oscar for Olivia Colman. And landing at No. 10 was the Lionsgate thriller The Vanishing, starring Gerard Butler. Ben Is Back (No. 8) and The Favourite (No. 7) also placed on the digital chart. Lionsgate’s Robin Hood held strong on both charts, placing No. 6 (from No. 4 the previous week) on the disc chart and No. 6 (from No. 3) on the digital chart. Meanwhile, Universal’s Dr. Seuss’ The Grinch settled at No. 7 (from No. 5) on the disc chart. Sony’s Venom, which debuted on digital late last year, made an appearance on the digital chart at No. 5 — perhaps boosted by anticipation for the latest superhero movie hitting theaters, Captain Marvel. Ben Is Back, starring Julia Roberts, will come out on digital 4K Ultra HD Feb. 19 and on Blu-ray Combo Pack (plus DVD and digital), DVD and on demand March 5 from Lionsgate. In Ben Is Back, Roberts plays a mother swept into a race against time after her troubled 19-year-old son (Lucas Hedges) returns home for Christmas — and suddenly disappears. Over a turbulent 24 hours, new truths are revealed and her love is tested. Special features include an audio commentary with writer-director Peter Hedges and a photo gallery. “The Chilling Adventures of Sabrina” remained No. 1 on the digital originals chart for the second consecutive week, despite a drop in Demand Expressions by more than 11% during the week that ended Nov. 10, according to Parrot Analytics. The reboot – which is much darker than the original, comedic “Sabrina, the Teenage Witch” – captured the top chart position the previous week in the wake of its Oct. 26 Netflix debut. The number of Demand Expressions for “Sabrina” slipped to 55.7 million from 62.9 million the prior week. Demand Expressions is a proprietary metric used by Parrot Analytics to measure global demand for TV content. The metric draws from a wide variety of data sources, including video streaming, social media activity, photo sharing, blogging, commenting on fan and critic rating platforms, and downloading and streaming via peer-to-peer protocols and file sharing sites. “Stranger Things,” also from Netflix, rose a notch to No. 2 with a modest gain in demand of less than 4%, swapping places with “Marvel’s Daredevil,” which slipped to No. 3 after a 14.5% drop in demand. “House of Cards,” the first Netflix digital original, shot up to No. 4 from No. 10 the previous week in its first full week of availability, with a 56.3% spike in demand. Season 6 of the political drama – the first without star Kevin Spacey, whose career was derailed by a sexual abuse scandal – debuted Nov. 2. Netflix has already announced Season 6 will be the series’ last. 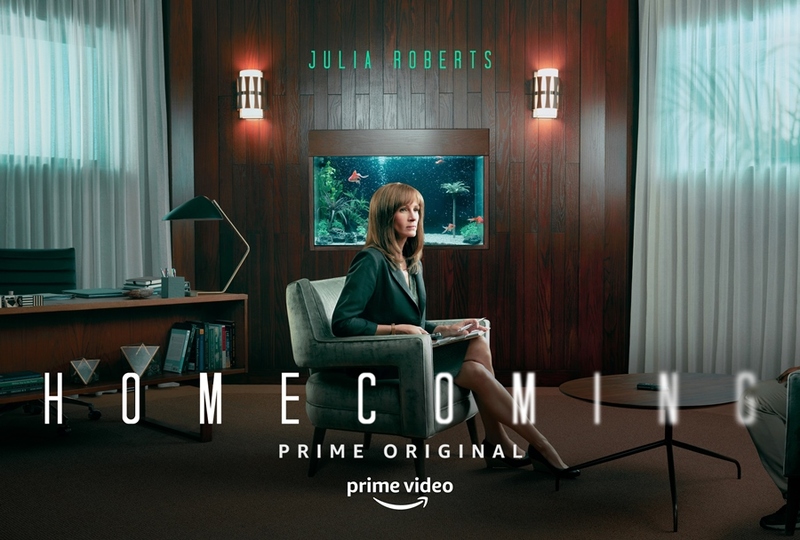 Also soaring up the charts was Amazon Prime Video’s “Homecoming,” which driven by a 45.4% gain in Demand Expressions debuted on the digital originals chart at No. 7. The series launched on Amazon Nov. 3 and marks Julia Roberts’ television series debut; the series is based on a podcast of the same name. Rounding out the top five on the digital originals chart was “The Haunting of Hill House,” which slid a notch from No. 4 the prior week after a 14.5% drop in demand. A “digital original” is a multi-episode series in which the most recent season was first made available on a streaming platform such as Netflix, Amazon Prime Video or Hulu. 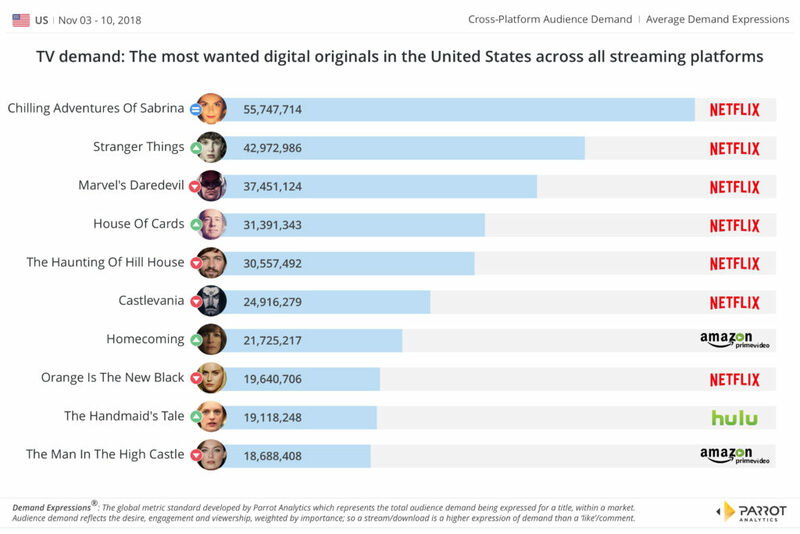 Hulu’s “The Handmaid’s Tale” reappeared in the top 10, at No. 9, with a 4.1% bump in demand. Media Play News has teamed with Parrot Analytics to provide readers with a weekly top 10 of the most popular digital original TV series in the United States, based on the firm’s proprietary metric called Demand Expressions, which measures global demand for TV content through a wide variety of data sources, including video streaming, social media activity, photo sharing, blogging, commenting on fan and critic rating platforms, and downloading and streaming via peer-to-peer protocols and file sharing sites. Lionsgate Nov. 8 reported second-quarter (ended Sept. 30) home entertainment revenue of $149.6 million from the sales of DVD/Blu-ray Disc and electronic sellthrough of movies, which is down 10% from revenue of $165.7 million during the previous-year period. Home entertainment sales of television content topped $28.6 million, down about 5% from $29.9% last year. Through the first six months, home entertainment sales of movies are down 22% to $312.3 million from $399.7 million last year. TV revenue declined 36% to $46.7 million from $72.5 million. Top-selling titles include Wonder, which as sold $23.3 million in 1.5 million combined DVD/Blu-ray Disc units, and I Can Only Imagine, selling $20.3 million via 1.2 million discs, according to The-Numbers.com. Motion picture segment quarterly revenue decreased 2% to $379 million. Segment profit increased 45% to $12.9 million, reflecting strong ancillary performance of previously-released theatrical titles. TV production revenue fell 28% to $152.1 million from $211.2 million last year. For the fiscal year, motion picture revenue dropped nearly 14% to $744.3 million from $858 million. TV revenue fell 8% to $431.5 million from $472.4 million. 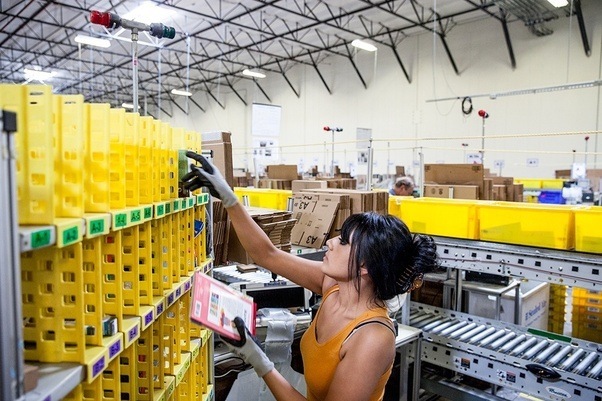 Amazon Oct. 25 reported third-quarter (ended Sept. 30) online store sales of $29 billion, up 10% from sales of $26.3 billion during the previous-year period. Physical store (two locations) sales topped $4.2 million from $1.3 million. The ecommerce behemoth says online stores revenue includes product sales, physical and digital media, such as books, music, videos, games, and software. This includes digital products sold on a transactional basis such as Amazon Instant Video. Separately, Amazon said the second season of “NFL Thursday Night Football” on Prime Video reaching more than 8 million combined viewers worldwide through the first four games on Prime Video and Twitch. Amazon this season added a new alternative audio feed featuring sports journalists Hannah Storm and Andrea Kremer, the first-ever all-female sportscasting team to call NFL games. In addition, Amazon is bringing interactivity to TNF with several innovations, including “X-Ray for TNF” on FireTV, enabling viewers to access live stats, player information, and in-app shopping; as well as the “TNF on Twitch,” affording global users interactive access to watch, comment, and predict game outcomes. In addition, Prime Video debuted original series “Tom Clancy’s Jack Ryan,” “The Romanoffs,” and season 3 of “The Man in the High Castle.” Upcoming original series include “Homecoming,” a psychological thriller starring Julia Roberts, and produced and directed by Sam Esmail; as well as season 2 of “The Marvelous Mrs. Maisel,” recent winner of eight Emmy awards including Outstanding Comedy Series. Hook, Steven Spielberg’s update on the tale of Peter Pan, debuts on 4K Ultra HD and digital in 4K with high dynamic range Oct. 9 from Sony Pictures Home Entertainment. 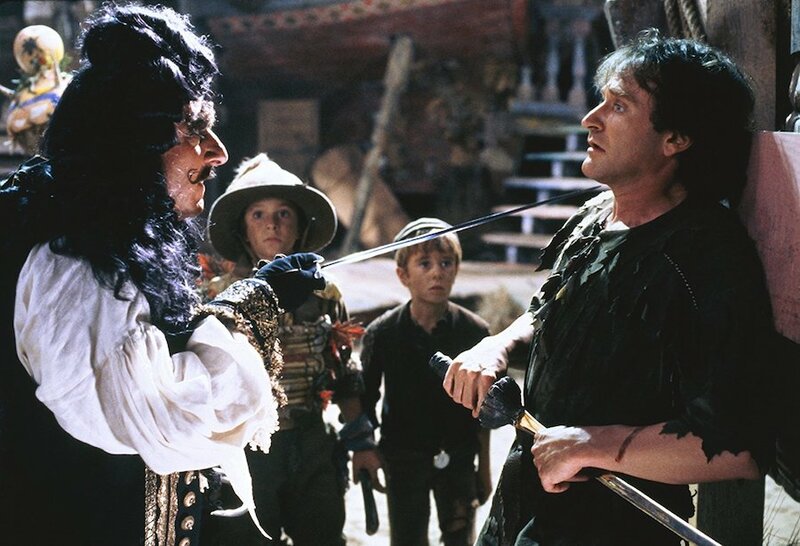 Starring Dustin Hoffman as Captain Hook, Robin Williams as Peter, Julia Roberts as Tinker Bell, Bob Hoskins as Smee and Maggie Smith as Wendy, Hook was nominated for five Academy Awards in 1991. The story follows an adult Peter Pan as he returns to Neverland to reclaim his youthful spirit in order to challenge his old enemy Captain Hook, who has kidnaped his children. 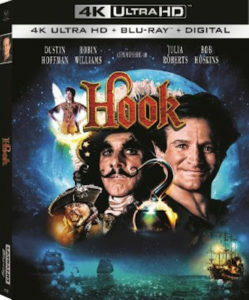 Hook has been restored in 4K from the original camera negative, with approval on the 4K HDR master from director Steven Spielberg, according to the studio. It also features Dolby Atmos audio. Bonus features include 11 never-before-seen deleted scenes. 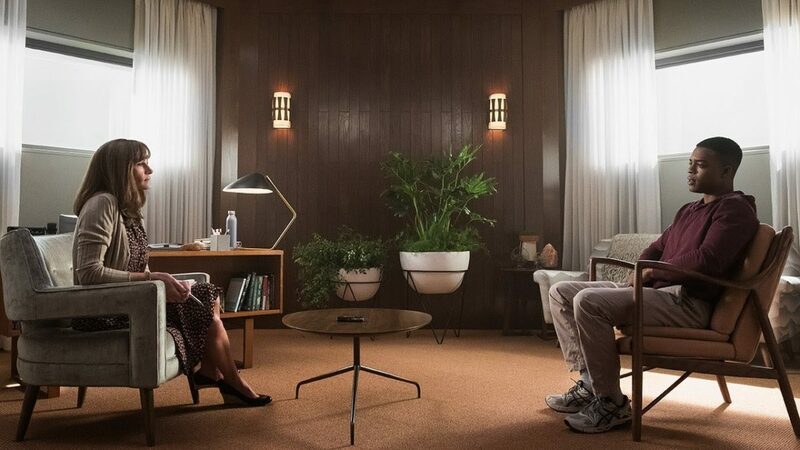 Amazon Studios July 20 unveiled premiere dates for several series and Homecoming, starring Julia Roberts, as well as casting news and clips and trailers for upcoming shows during its San Diego Comic-Con panel. Homecoming will premiere Nov. 2 on Prime Video. The psychological thriller directed by Sam Esmail (creator of “Mr. Robot”) stars Roberts as Heidi Bergman, a caseworker at the Homecoming Transitional Support Center, a facility helping soldiers transition back to civilian life. Walter Cruz (Stephan James) is one of these soldiers. Overseeing Heidi and the facility is Colin Belfast (Bobby Cannavale), an ambitious company man whose manic demands point to questionable motives. Four years later, Heidi has started a new life, living with her mother (Sissy Spacek) and working as a small-town waitress, when a Department of Defense auditor (Shea Whigham) comes to her with questions about why she left the Homecoming facility. See the teaser trailer for Homecoming here. Amazon will debut “Tom Clancy’s Jack Ryan,” co-produced by Paramount Television and Skydance Television, Aug. 31 on Amazon Prime Video. The eight-episode drama is a reinvention of the Tom Clancy hero with a modern sensibility starring John Krasinski (A Quiet Place, 13 Hours) as Jack Ryan, as well as Wendell Pierce as James Greer and Abbie Cornish (Three Billboards Outside Ebbing, Missouri) as Cathy Mueller. Noomi Rapace will play Harriet “Harry” Baumann in Season 2, Amazon announced. Amazon screened the first episode during the panel. Season 2 of “Lore” will debut Oct. 19 on Prime Video. The series explores the real-life frightening and disturbing tales that give rise to modern-day myths and legends. The hybrid series will continue to feature narration, archive footage and animation to complement the filmed segments. Frances McDormand, Oscar, Golden Globe and Emmy Award-winning actress, will lend her voice to the series “Good Omens” as “the voice of God.” In the series, the end of the world is coming, which means a fussy Angel and a loose-living Demon who’ve become overly fond of life on Earth are forced to form an unlikely alliance to stop Armageddon. But they have lost the Antichrist, an 11-year-old boy unaware he’s meant to bring upon the end of days, forcing them to embark on an adventure to find him and save the world before it’s too late. Season four of “The Expanse” will debut on Amazon Prime Video in the United States in 2019. Cast and creators of the show sent a video message thanking fans for saving the series based on the popular science fiction novels by James S. A. Corey. 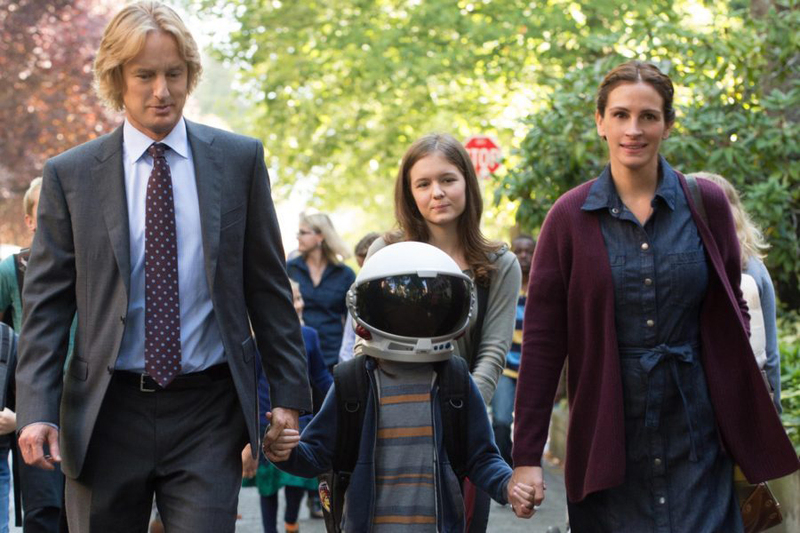 Lionsgate will release the family film Wonder on Digital HD Jan. 30 and on Blu-ray, DVD and 4K Ultra HD Blu-ray Feb. 13. 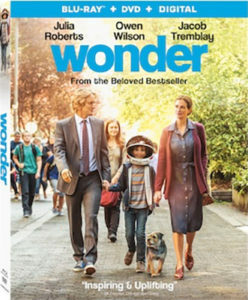 Based on the best-selling book by R.J. Palacio, Wonder follows the story of the Pullman family, whose youngest child, Auggie, is a boy born with facial differences and struggles to earn acceptance from his peers at school. The film, which earned more than $130 million at the domestic box office, stars Julia Roberts, Owen Wilson, Mandy Patinkin and Jacob Tremblay. The home video release includes such extras as a five-part documentary, multiple featurettes, a music video, and an audio commentary with Palacio and director Stephen Chbosky. The 4K Ultra HD Blu-ray also features Dolby Vision high dynamic range. The home video release is timed not just for Valentine’s Day, but also the book’s sixth anniversary, as well as National Random Acts of Kindness week (Feb. 11-17).